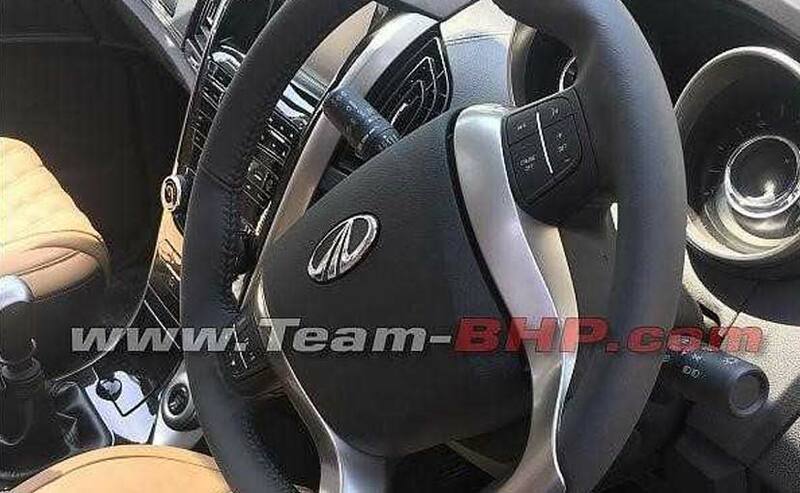 The interior of the soon to be launched Mahindra XUV500 facelift have been spied. Expect the SUV to get a decent upgrade. Just a few days ago, we had updated you about undisguised spyshots of the Mahindra XUV500 facelift. 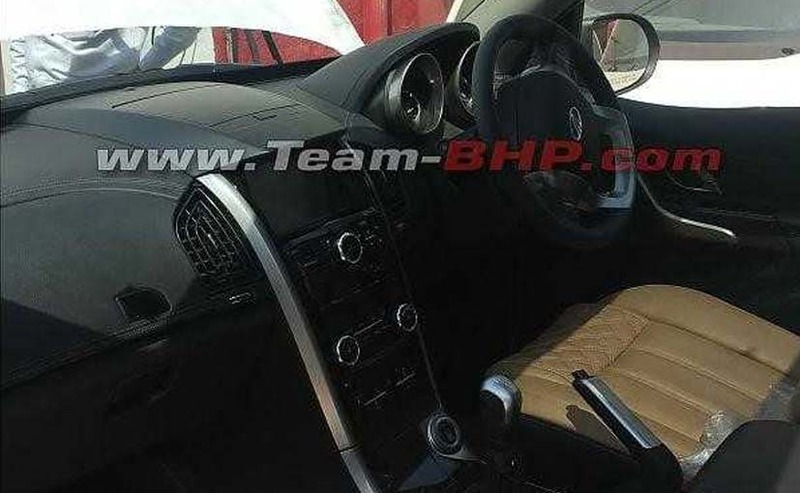 And now, we have a few spyshots of the interior of the XUV500 facelift. From what we hear, the XUV500 facelift will be launched in the next one month. 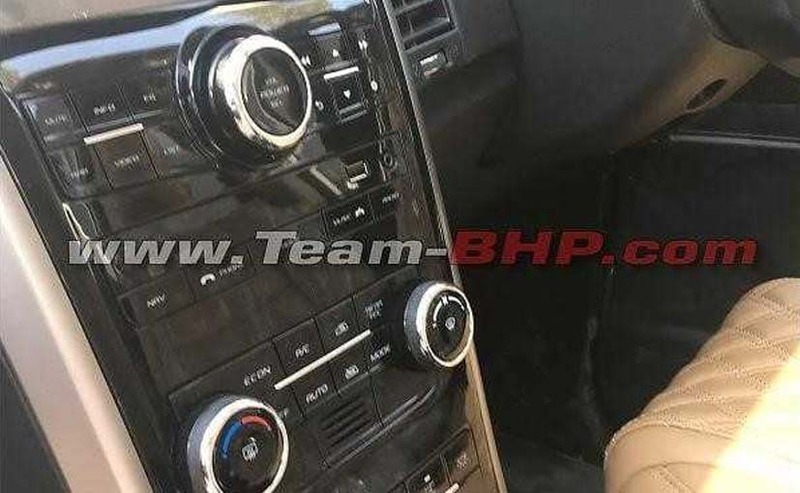 These spyshots give us glimpse of the updates to the interior of the SUV. The most obvious changes are the tan colour upholstery with cross-stitching. Apart from that, Mahindra will also offer piano black and faux - aluminium inserts on the centre console. The top-spec model of the XUV500 facelift will also be offered with aluminium pedal in a bid to look and feel a little sporty. We also believe that the infotainment system on the XUV500 facelift will be updated, possibly offer smartphone integration. Apart from the interior changes, the Mahindra XUV500 facelift will also get updates to the exterior, most notably, the front end where the grille along with the headlamp cluster will be updated. The front and rear bumpers have been slightly tweaked as well. We expect Mahindra to offer newly designed diamond-cut alloy wheels on the XUV500 facelift, at least on the top-spec variant. Other changes include newly designed tail-gate and new tail lamp design. Mahindra might also update the 2.2-litre diesel engine and extract a little more power and torque. The Mahindra XUV500 will be going up against the likes of the Renault Captur, Hyundai Creta and the Jeep Compass. Just to keep you updated, Hyundai too will be launching the Creta facelift this year and Jeep will be launching the Compass Trailhawk, which will be off-road oriented.